RE: “This was governments way to “fix” things”. The premise is that AMCs policy inclusion which was written by the banks which created the malleable policy of the AMC “Firewall” which enabled the AMCs to appropriate, then dominate the fee appraisers nationwide. AMCs controlled and restricted (Not a Gov thing) Statewide Licensed appraisers to only practice within a 30-mile radius, from an interloper that scaled up nationwide. This is/was the AMC’s interpretation of Government policy. For every policy, the government makes 10 are written by business to advance their agenda. They got away and still are with “restraint of Trade” and possible interstate commerce violations because of the disorganized field appraisers. Great points, Mark. I think transparency is the key here. We must ask the same from the AMC as we are being asked. Keep up the great work. Exactly. I won’t even argue the validity of management company services, but why are they able to not have to itemize that fee on closing disclosure. If borrowers saw I would assume more questions would be asked. Also I think some lenders would be surprised to see how poorly their appraisers are being paid. Maybe that’s optimistic but I’ve learned via lunch and learns with lenders and agents they have no or little idea of what’s actually happening. Well said Mr. Mark. This scam has been going on since around 2009 and the implementation of the HVCC or Home Valuation Code of Conduct. The HVCC was implemented by Andrew Cuomo of NY in response to his finding that an AMC was colluding with Appraisers to manipulate values. So their “fix” of course was to setup a system that enabled and fed the AMC beasts to become a huge nightmare not only for the Independent Appraiser, but for the entire economy. The fact that they work behind the scenes with “no disclosure” of their fees in the days of TILA (Truth In Leniding Act) is beyond comprehension. The FTC is currently challenging the State of LA for having the fortitude to try and combat these “companies” in the name of consumer protection!!. There is a huge and ugly dog behind this fence. 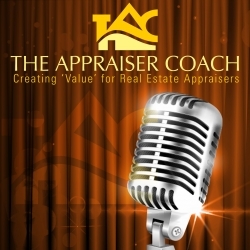 I am appraising for over 25 years residential and Commercial . Thank God for the commercial work . The point is to gain as much private work residential or commercial as you possibly can so you can obtain the full fees and charge what you need to. Secondly it should be disclosed on the appraisal how much the appraiser is making period in New York they want you to take that comment off and we know the reason why. It’s a scam it’s a rip-off and these appraisals are much too difficult to perform these days for those low fees. And yes I’ve always said the same thing the customer is getting ripped off as well as the appraiser.